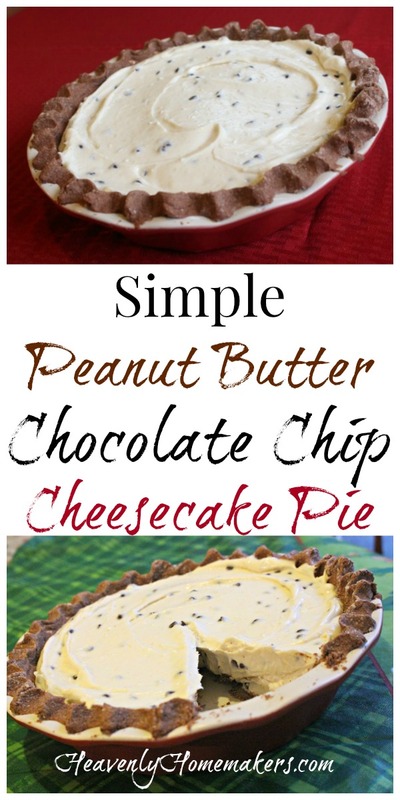 Once you’ve got your Chocolate Pie Crust made, you’ll need this Peanut Butter Chocolate Chip Cheesecake Pie recipe to go with it. I will say right off the bat that if you must avoid peanuts at your house, simply leave the peanut butter out of this recipe and make a regular Chocolate Chip Cheesecake. This tastes amazing either way! Can you use a regular pie crust for this pie? Of course you can. I’m not the boss of you. 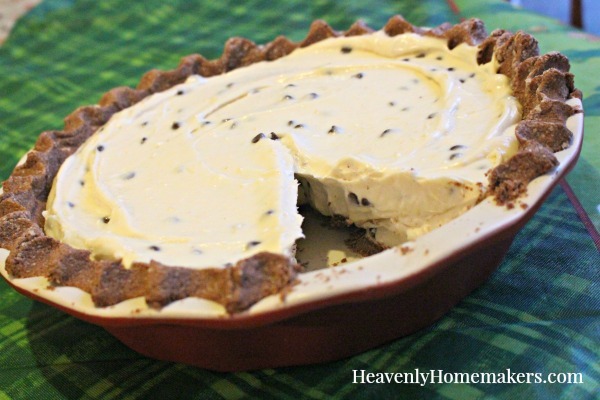 You can even use a graham cracker crust. You can go crustless. So many options! No matter what though, I do suggest that you make this pie. It is super easy and a huge hit!! In a high power blender mix cream cheese, peanut butter, sweetener, cream, and vanilla until thick and smooth. Chill pie in refrigerator for at least 2 hours before serving. *Get our Natural Peanut Butter recipe here. 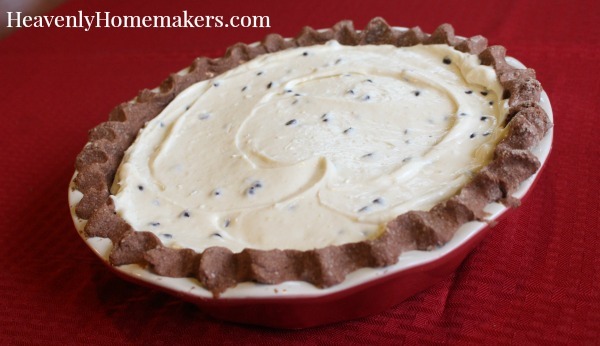 **Find our Chocolate Pie Crust recipe here. ***These are our favorite Mini Chocolate Chips to use. Need more cheesecake recipes? Some of these will be great in the Chocolate Pie Crust! Or in a Regular Whole Wheat Pie Crust. Or maybe they should remain crustless. Ohhhh, the options! What are your favorite desserts to make at Christmas time? Think you should add this Chocolate Chip Cheesecake to your list? I am doing everything in my power to make this after the Littles go to bed. It looks like a delicious slice of heaven! I know what we will be having for breakfast….